Florida has a long history of condo craziness, amplified by Del Boca Vista episodes of “Seinfeld,” but no state with condos is immune to it. The Dorchester, a condominium on Pelican Bay, a 2,300-acre development along the Gulf Coast, in Naples, FL, March29, 2019. When people buy into a development with a condominium board or homeowners' association, landing in the middle of a board dispute can be a financial disaster. Florida has a long history of condo craziness, amplified by Del Boca Vista episodes of “Seinfeld,” but no state with condos is immune to it. Arizona has thousands of homeowners associations with unchecked power. New York is famous for battles to exclude, evict or otherwise boss around people who buy million-dollar apartments. Even Texas, where homeowners associations are credited with bringing order to cities that lack proper zoning laws, has its share of dustups. But when people buy into one of these developments, where homes can cost millions of dollars, landing in the middle of a board dispute can be a financial disaster. A renovation can be costly and lengthy, but not keeping a property fresh can hurt real estate values as developments with newer amenities spring up. Throw in a legal battle, and the costs can rise quickly. In Miami Beach, a condo called Nine Island Avenue became a case study in how not to remodel a pool area. One resident, the daughter of the developer, sued the condo president over renovations that were done to the building, including changing the color of a koi pond, removing an old trellis and selecting new pool furniture.The case went to arbitration, and the judge sided with the resident, saying the changes were never approved by the residents and had to be undone. That same building, which has units that cost up to $2.4 million, is undergoing a lobby renovation expected to cost about $8 million. Diffenderfer’s assessment was $37,000, he said. Manning-Hudson said a good rule of thumb for board members was to put big decisions to a vote. But they also need to know that deferring required maintenance can make a board member personally liable for negligence. Even when assessments go well, the work does not always go smoothly. 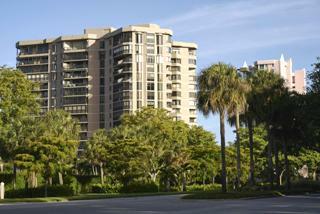 The board of the Dorchester, a condominium in Pelican Bay, a 2,300-acre development in Naples, Florida, voted to redo the lobby, common areas and hallways. Each of the units, which range from $560,000 to $3.4 million for a double unit overlooking the water on the 12th floor, was assessed $30,005 for the work. Owners paid up, and no one sued, said Schroeder, the Sotheby’s sales associate, who is representing the sale of the 12th-floor unit. But when the work started, it was everywhere and all at once. There’s not much anyone can do at this point, because the owners voted for the work but failed to push for it to be done offseason. Schroeder said the disruption had hurt owners who typically rented out their units in the winter. Trinkler said buyers should research the board members and understand what types of assessments were levied in the past.